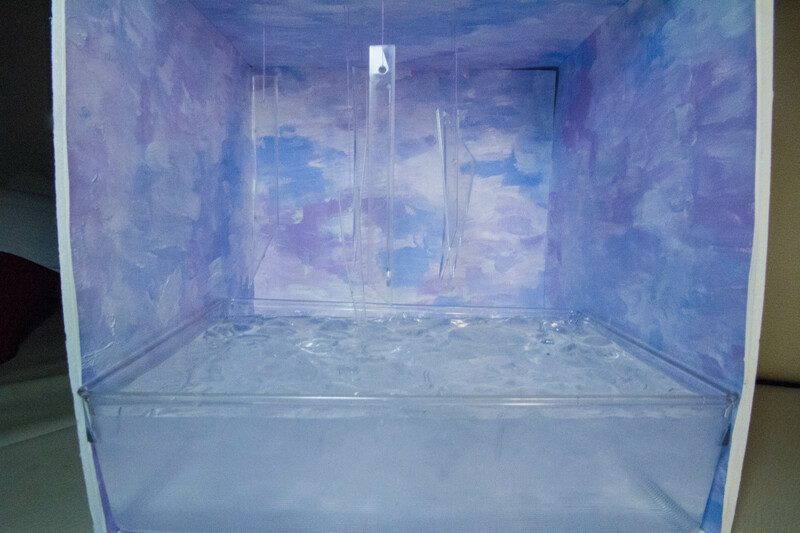 For my Final Proposal I decided to create a prototype of an ‘ice room’ in that would have been placed in one of the rooms on the first floor in MOMA PS1. I created this instillation to highlight the important issue of global warming. 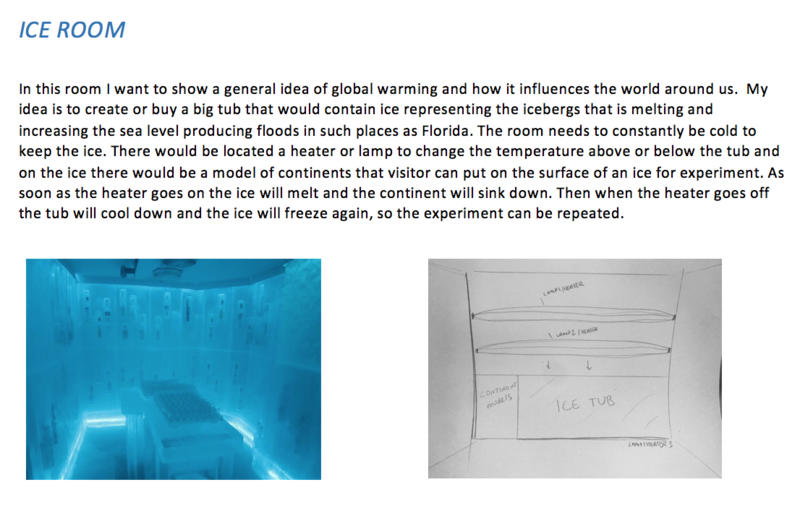 The room would be covered in ice that over time as the temperature would increase will melt representing the sea level rising in the world. 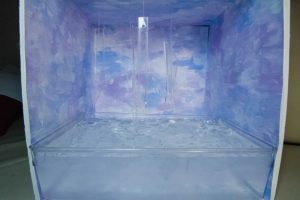 The viewer would stand outside of the room and watch the whole space fill up with water over after certain increase in temperature and ice melting. The prototype is made out of foam sheets pin up together, the walls are painted to create the illusion of the north pole and the northern light. The tank in the bottom supports the ice and water. The purpose of the instillation is to create strong visual look. To show the ice melting in the room I recorded and created a flip book to show how it would look like in real life over time.